Qviart Combo - Available to order, buy it now! 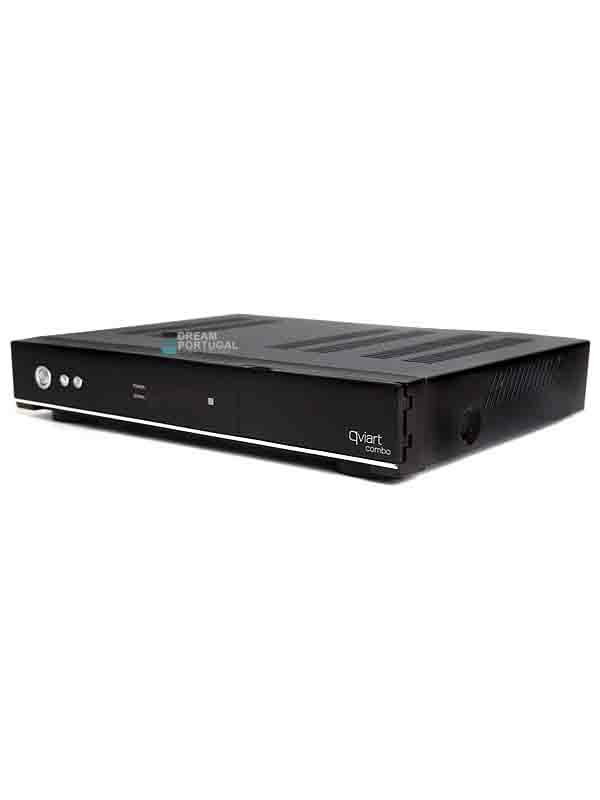 Qviart Combo - The most complete satellite, cable and terrestrial receiver for HDTV with Internet functions. Qviart COMBO is a satellite receiver with integrated DVB-T, so you have everything you need in one decoder (Satelllite, Cable or Terrestrial channels), in addition to a great design and image quality. COMBO is carefully designed for users who want something more, a powerful 667MHz processor, 2GB of RAM, 1080p resolution, IPTV, recorder, Media Player and Internet functions. Thanks to Internet connection (WiFi, Ethernet or 3G), Qviart COMBO offers a wide range of services and access to YouTube, Google Maps, IPTV (URL Play) and The Weather, among others. In such a complete receiver, USB ports could not be missed, so you can connect an external hard disk recordings for the TimeShift function, for updating software, etc. Qviart COMBO has smartcard reader, support for 8000 channels, 4000 transponders and 100 satellites, 7 days EPG, teletext and supports DiSEqC 1.0 / 1.1 / 1.2 / 1.3 (USALS) and UNICABLE.